Pope Benedict XVI waved as he lead the Sunday Angelus prayer in Saint Peter&apos;s Square at the Vatican. There aren’t many jobs where mastery of a dead language is an asset. But when Giovanna ­Chirri, Vatican correspondent for Italy’s ANSA news agency, heard Pope Benedict make an announcement in Latin earlier this month, she understood completely, and raced to break the story: The pope was resigning. Meanwhile, many of the assembled cardinals, it was reported, were left scratching their heads. Their Latin skills weren’t up to snuff. It took the first papal resignation in six centuries to thrust Latin—as a live, spoken language—back into the news. Beyond the extremely rare circumstance of major world religious leaders announcing their retirement, however, you might well wonder: Who still speaks the language of ancient Rome outside of the Vatican walls? In this day and age, what would be the point? As it happens, a conference in New York City last weekend provided ample evidence that this “dead” language is not quite dead after all. Around 70 participants, about half of whom were high school teachers from the Northeast, gathered at Fordham University to spend a couple of days speaking in Latin together. I dropped by to see what the “living Latin” movement is all about—and got a taste of a language that’s being used not just for scholarly and religious purposes, but as a way to bring centuries of classical learning into the here and now. For the next two days, the conference-goers broke into small groups to talk in Latin, guided by instructors, on a number of topics, organized around the theme of mirabilia urbis, or “marvels of the city,” in both Rome and New York. The sessions I sat in on were easy-going and full of laughter, whether the group consisted of novices attempting to speak Latin for the first time or fluent experts declaiming like Cicero. I caught up with Eric Hewett, who cofounded the Paideia Institute in 2011 as a way to maintain the tradition of ­Reginaldus, a.k.a. Reginald Foster, a gruff Carmelite friar from Milwaukee who ran that popular Rome summer course on spoken Latin for over 20 years. Foster was the Vatican’s official Latin translator until health problems forced his return to Milwaukee in 2008. Hewett told me the institute had launched their own summer program in Rome, guided by Foster’s principle that spoken Latin should be a bridge between secular and religious worlds. This also means bridging two different accents: classicists speak a “reconstructed” Latin, while those from a seminary background speak with an Italian-influenced “ecclesiastical” pronunciation. But whether they pronounce c’s like “k” in the classical way or like “ch” in the style of the church, the institute welcomes all comers. The institute has also started a summer course in Rome for high school students, attracting young scholars from the likes of the Brooklyn Latin School, which is modeled on the Boston Latin School, the oldest public school in the country. The Brooklyn school makes the study of Latin central to a classical liberal arts education, in a disadvantaged area where Latin isn’t typically a high priority. And that brings us back to what the journalist Chirri found so useful in knowing Latin: understanding the most famous current user of the language. 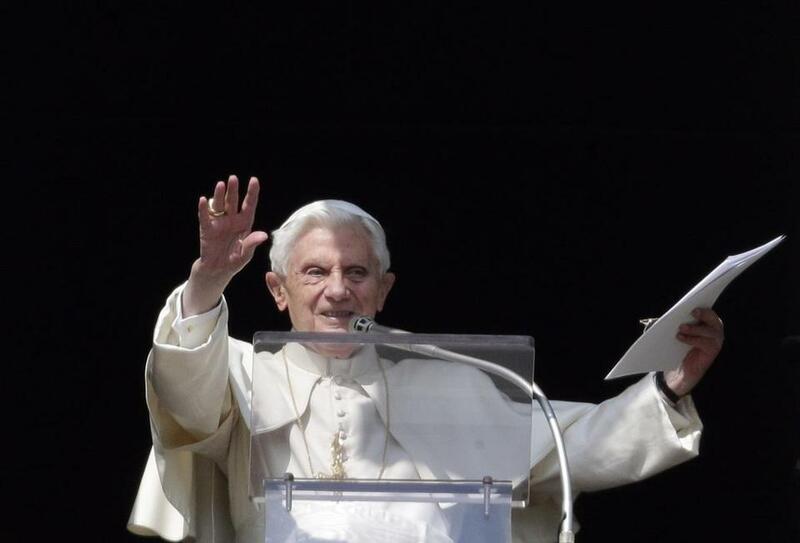 A fluent Latin speaker, Benedict has encouraged the language’s revival, even posting to Twitter as @Pontifex. We don’t yet know if his successor will be such an ardent Latinist. But it seems clear that there are still plenty of signs of life in that old language, even in Novum Eboracum (New York).